This Mytee 8904 series Spinner is a high pressure tile and grout cleaning tool that is designed to be used with the Mytee® LTD12 Dual Mode Extractor. The high pressure valve can be used with a pump as low as 500 PSI and as high as 3000 PSI. Includes a high-quality carbide-sealed swivel, durable stainless steel handle, and head housed in tough roto-molded polyethylene with aluminum cast cover. 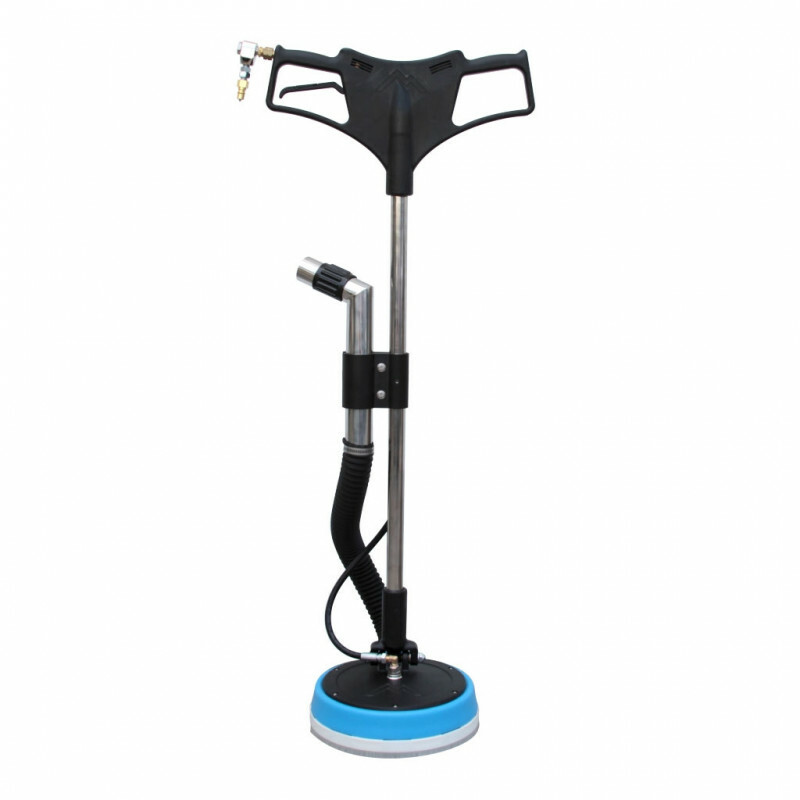 Designed with a T-handle for maximum control in all environments, this tool uses high pressure to simultaneously power wash and extract water from a variety of hard surfaces such as concrete, grouted tile, ceramic tile, rubber studded floors and more. 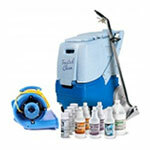 The 8904 Spinner® sets a new standard in hard surface cleaning. It is equipped with a 1.5" recovery port to hook to a truckmount extractor, portable carpet extractor, or wet/dry vacuum. It is truly amazing what kind of performance this machine offers to effortlessly clean tile and grout.